This is a 14 x 20 four color press that can perfect two over two. Its landscape design and 4 form rollers enable it to do difficult heavy coverages. 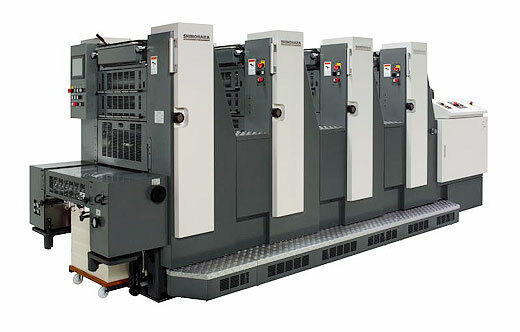 It can produce up to 12,000 sheets per hour and with our DPM 2508 Digital Platesetter, this press makes us an ideal source for short run, four color printing.